Advanced vehicle wash. New technology with “Glassplexin” leaves your vehicle clean and glossy. Safe for all paints, including new, clear-coated paints. PH-balanced. 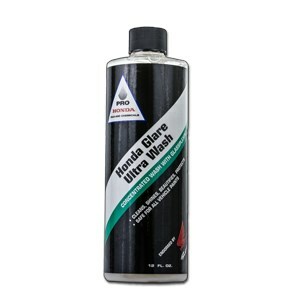 Best when used in conjunction with Honda Glare Professional Polish.